Have you experienced a trash spill that left you dreading the thought of taking the trash out? When you just want to take the trash out, are you worried that the bottom will burst open or the handles will tear off? Well, you shouldn’t be worried. There are so many great trash bag options available that you shouldn’t have to deal with mediocrity anymore. Unless you want to clean up spilled trash, it’s important to find a quality trash bag that works for you. 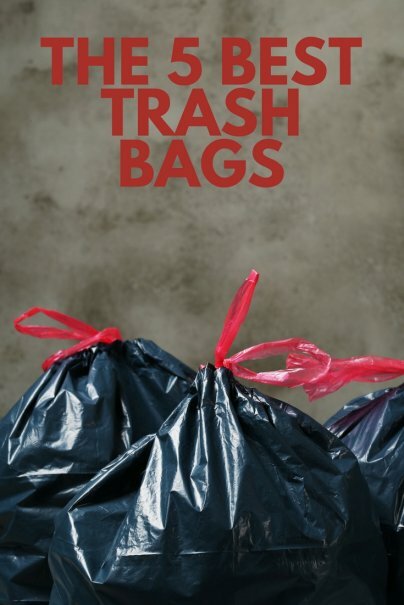 Fortunately, we’ve done the dirty work for you and have found some of the best garbage bag options available, so you won’t have to worry about items breaking through ever again. What Is a Trash Bag? Trash bags, or garbage bags, are disposable bags designed to securely contain your trash. They can be used to line your trash cans, protecting the sides of the can from being exposed to trash. Trash bags are typically made of plastic and can come in a range of sizes, scents, and options. We all naturally accumulate trash, so garbage bags are something that every person will need to purchase, at every stage of their lives. This is why it is so important to find a sturdy trash bag that won’t tear when you fill it, can contain messes, and can mask the smell of trash. 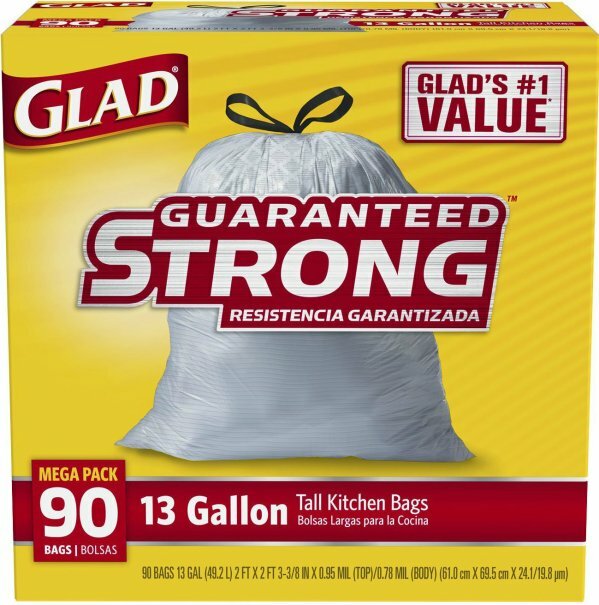 Amazon’s #1 best seller in tall kitchen bags, the unscented Glad Tall Kitchen Drawstring Trash Bags is also Glad’s #1 value bag. The 13-gallon bags are guaranteed strong, no matter what you need them for. The bag is reinforced at the top, middle, and bottom, featuring reinforcing strength bands, a unique diamond pattern that stretches to prevent rips, and thicker plastic for enhanced leak protection. These bags are ideal for the kitchen, but can also be used in your home office or anywhere else throughout the house. They are also strong enough to hold your heavy laundry, linen, clothing, toys, holiday decorations, and sports equipment. The three-layer drawstring closure makes it easy to keep the bag closed, while also making it easy to lift, carry, and toss the bag. The bag is lined with innovative reinforcing bands, which results in a stronger bag with less plastic waste. In fact, this innovation alone will help save 6.5 million pounds of plastic every year. This means that you can feel good knowing you made a difference, while enjoying unrivaled performance from the trusted Glad brand. Consumer Reports, Good Housekeeping, and ABC News all found that this bag holds more than the competition. Tested.com also found that this tall kitchen bag was the clear winner, after testing out various competing trash bags. As Amazon’s #1 best seller in lawn and leaf bags, you can count on these Hefty Trash Bags to handle any large jobs, such as party cleanup, yard cleanup, donation collection, or to store any other items around the home or office. Because it offers dependable long-term strength, this trash bag is also ideal for long-term storage needs. The bags offer a larger capacity, a drawstring closure, and are tear and puncture resistant, allowing them to stand up to any mess. They are also thicker than your average 0.9 mil thickness bags, coming in at 1.05 mil thickness. In fact, these bags are backed by a 100% money back guarantee, so you can feel confident that they are going to work the way you need them to. 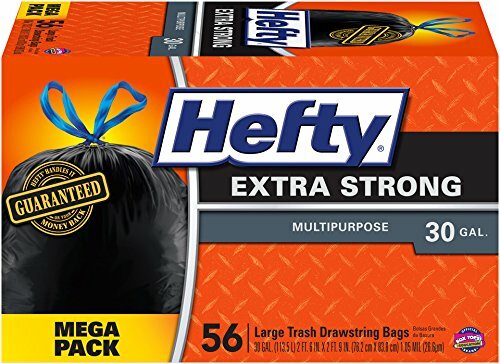 The 30-gallon Hefty Extra Strong bags are strong, powerful, offer superior performance, and are one of Amazon’s best-selling trash bags. Hefty Ultra Flex bags also topped the list of best trash bags on Real Simple and ConsumerSearch. Hefty bags are continually chosen as the best premium trash bags by various independent review sites, so as long as you’re choosing Hefty, chances are the bags will hold up, even when filled to capacity. 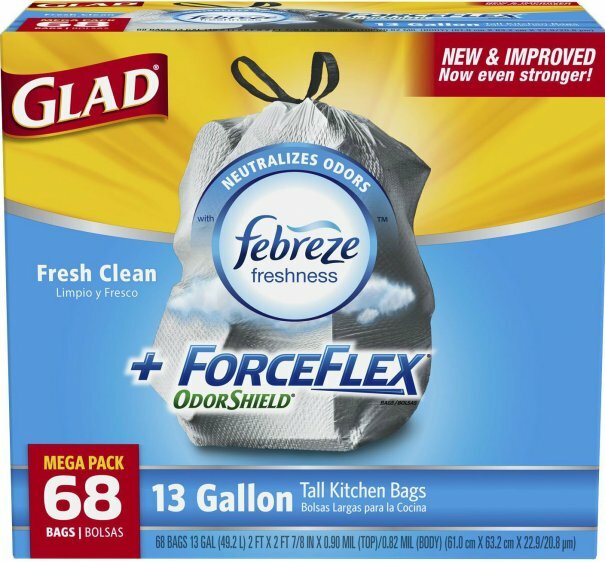 The new and improved Glad ForceFlex OdorShield Tall Kitchen Drawstring Trash Bags are now stronger than ever and can hold even more trash (up to a whopping 60 pounds). These 13-gallon tall kitchen bags have an improved middle layer and a Fresh Clean scent to keep the smell of trash at bay. These are more than your typical scented bags, thanks to the effective OdorShield technology with Febreze freshness, which can continuously neutralize odors, day after day. You can also choose from a range of scents, in varying degrees of strength, to suit your personal preferences. The bags’ diamond texture stretches to prevent rips and tears, while using less plastic than comparable flex-type bags. The three-ply drawstring closure makes it easy to lift, carry, and toss the bags. These bags are intended for the kitchen, but they can be used anywhere throughout your home or workplace, and are even strong enough to store sports equipment, toys, laundry, holiday decorations, and other large bulky items. The Glad ForceFlex brand offers a number of options and scents, as well as black out bags, can gripping bags, and other options to suit your needs. Real Simple deemed this bag the best tall kitchen bag, thanks to its unwavering durability, and Consumer Reports also named it one of the best trash bags. According to Best Reviews Guide, the ForceFlex drawstring trash bags were voted the best trash bags out of more than 11,000 reviews. They are also one of Amazon’s best-selling trash bags, so you can feel confident that they will hold up to your expectations. If you’re looking for an earth friendly bag, then look no further than Green Legacy fragrance-free, guilt-free trash bags. They can provide the dependability you need, with the environmental consciousness you want. 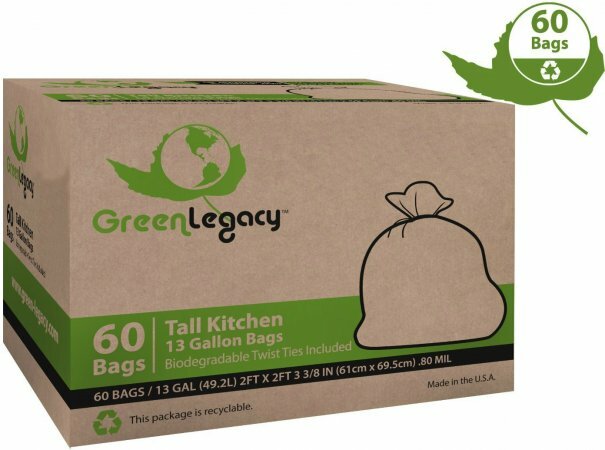 The box of 60 biodegradable Green Legacy Tall Kitchen Trash Bags also includes biodegradable twist ties. Even the package itself is recyclable, so you can feel good about your impact on the environment. These kitchen bags are also one of Amazon’s best-selling trash bags because they can provide a great value at an affordable price tag. Don’t let the low price of Kirkland’s Signature trash bags fool you. 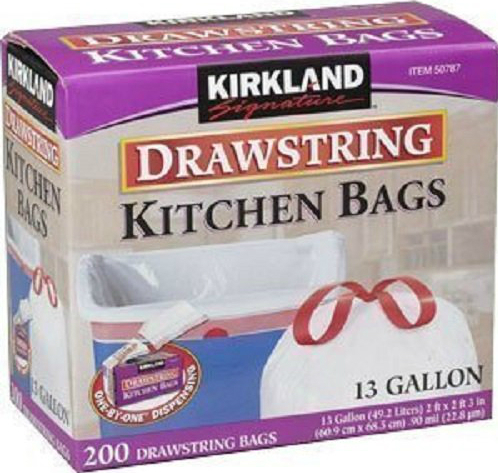 The 200-count box of 13-gallon Kirkland Signature Drawstring Kitchen Trash Bags is very affordable, so it can provide an incredible value, without sacrificing quality. Most reviewers agree that these bags work as well, or better, than bags that are more than twice the price. Each expandable drawstring kitchen bag can be easily removed with the unique one-by-one dispensing box. Consumer Reports also recommends purchasing this Costco staple, rating it one of the best trash bags available. And those are our recommendations for the best trash bags. As always, be sure to check Wise Bread's Buying Calendar to learn when and how to buy just about anything! I stopped buying Glad bags because they became super thin and fell apart on me. I emailed Glad and wonder if they improved back to original quality since or if these are just a different box with better quality? This has happened with a cheap brand that came in a roll I used to buy. I can't remember the brand but they were very inexpensive but strong and came in a high quantity for the price.